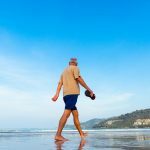 People often tend to live in the moment when they are younger, and senior citizen status can seem like it is a world away. For this reason a lot of procrastination takes place, but at some point, responsible individuals recognize the need to plan ahead for retirement. Your active retirement years can be full of good times as you cross things off your bucket list. However, you should also consider the twilight years that will follow. When you consult with an elder law attorney, you can learn a great deal about the challenges that you may face during the latter portion of your life. The single most significant elder law issue of our day is the matter of long-term care costs. Most people are going to need assistance with their day-to-day needs eventually. While the majority of seniors will qualify for Medicare, the program will not pay for custodial care. If you ultimately reside in a nursing home or assisted living community, you must look elsewhere for support. Medicaid is a government program that will pay for long-term care. Many senior citizens who were never financially needy ultimately apply for Medicaid to pay for long-term care. Because Medicaid is a need-based program, a lot of people will divest themselves of assets prior to applying. This is called a Medicaid spend down. This can be challenging, because there is a five-year look-back. If you give away assets within five years of applying for Medicaid, your eligibility may be denied until you have served a penalty. The duration of the period of ineligibility will be tied to the amount of the divestitures as they compare to the cost of long-term care in the state of your residence. Elder law attorneys understand Medicaid rules and regulations thoroughly. They assist clients who want to plan ahead with future Medicaid eligibility in mind. 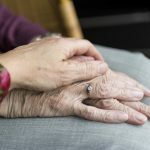 How do you find the right elder law attorney? Good old word-of-mouth is still valuable. If you have a family member or friend who has had a good experience with a particular attorney, it is likely that you will have the same type of experience. You can also rely on professional affiliations when you are looking for an elder law attorney. There is a respected professional organization called the American Academy of Estate Planning Attorneys. Attorneys who are members in good standing are well-versed in estate planning and elder law. 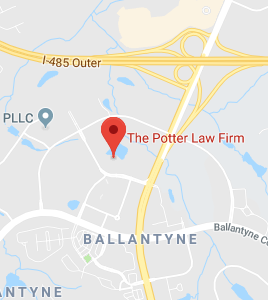 If you are looking for an elder law attorney in Charlotte, North Carolina or northern Kentucky, you have found a viable resource. We are members of the Academy, and we offer free elder law consultations. You can contact us to request a free consultation. We have prepared a free special report that covers Medicaid planning in-depth. If you would like to obtain some sound information, download your copy of the report. You can access the download through this link: Medicaid Planning Report.